Is Your Camping Cookware American Made? Are you looking to Americanize your home, your RV, or just looking for a special Christmas gift for friends and family? Are you tired of spending all of your hard earned money on cheaply made foreign products? I don't know about you, but I'm sick of it, so why not change the way you shop and buy higher quality American made products! If you're ready to make a change and do more to help the US economy, check out some great American made cookware from Jacob Bromwell. 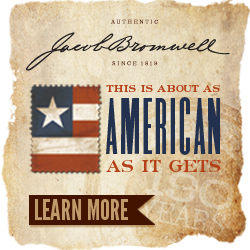 Jacob Bromwell has been making quality American made cookware since 1819! How cool is that! How can I Americanize my camping experience? Jacob Bromwell has tons of great American made cookware that will help you Americanize your outdoor camping adventure. For example, you could wake the family with the smell of bacon and eggs cooking in a Frontier Frying Pan, sip hot coffee or hot chocolate in Classic Tin Cups, or maybe you could pop American made popcorn around the campfire with America's Oldest Popcorn Popper! Isn't it worth spending an extra dollar or two while shopping if that means that you'll not only own higher quality products, but you'll also be helping your fellow American brothers and sisters keep a job during these tough economic times? Of course it is, so what are you waiting for! Check out Jacob Bromwell today and bring a little piece of Americana into your camping adventures! On Saturday, November 5, 2011 the Imperial County Arson and Bomb Unit was dispatched to detonate an unexploded 40 millimeter grenade found by a camper in the Dunebuggy Flats camping area of the ISDRA. Dunebuggy Flats is also known as Gordons Well. Even though the Imperial County Arson and Bomb Unit successfully destroyed the grenade, the camper that discovered it made one crucial and potentially deadly mistake. HE MOVED IT! Please, if you ever come across any strange object that is thought to be a UXO, don't disturb it and report it to 911 immediately. Experts also advise that you move at least 100 feet away from a potential UXO before using any cell phones or radios. I hope that you never come across any UXO, but don't forget that the ISDRA was part of the training ground for General George S. Patton and his troops during WWII. Where do you think Patton's Valley got it's name? None the less, if you do happen to stumble upon UXO, here is some general guidance that will help you with the rules of engagement. If you see UXO, STOP, do not move closer. Do NOT transmit radio frequencies near UXO (cell phones, two-way radios, CB radios. Keep at least 100 ft. away). NEVER touch, move, or disturb UXO. NEVER remove anything near UXO. Call 911 and report UXO. Move 100 ft. away before using cell phone or radio. Avoid any area where UXO is located. The full BLM article can be found here. Dune smart, and be safe out there duners! Desert season has officially started and we've already had rain at all of our favorite sand slinging camping areas this weekend such as Glamis, Buttercup, Gordons Well, Ocotillo Wells, and Dumont and some of you may be finding yourself in the market to upgrade your old trailer or trade in that old tent for a cozy new toy hauler. 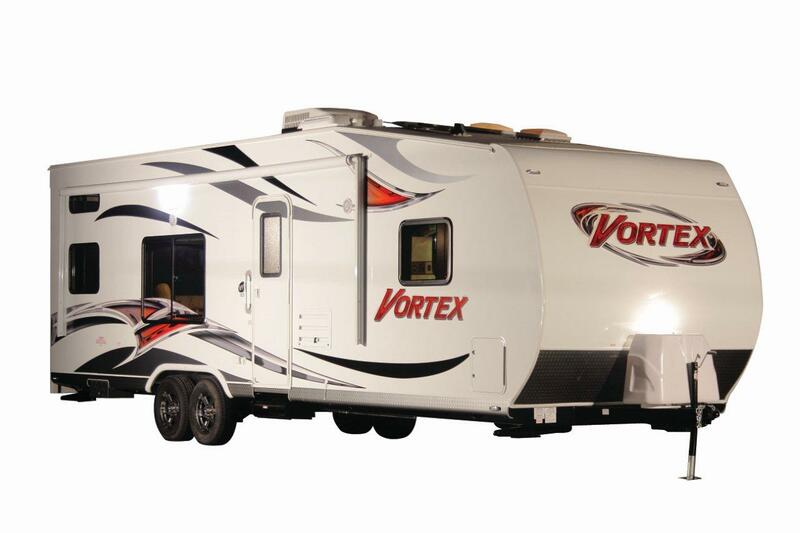 Well, if you are, you might want to check out the Vortex from our friends over at MVP RV. Available as either a Travel Trailer or a Fifth Wheel, ranging in length from 20 feet up to 32 feet. For a complete list of options and upgrades, please check out the downloadable brochure, or go over to the MVP RV website. If the Vortex doesn't fit you needs, they also have several other models to choose from. 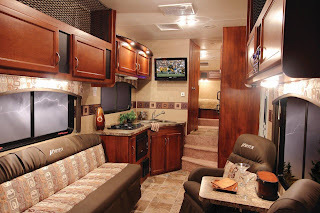 So whether you're tired of fighting the wind and the rain, ready to upgrade your old RV, want to protect your awesome sand slinging machines with a new toy hauler, or just looking to be a bit more comfortable while enjoying your favorite weekend getaways, go check out all of the great product lines at MVP RV.